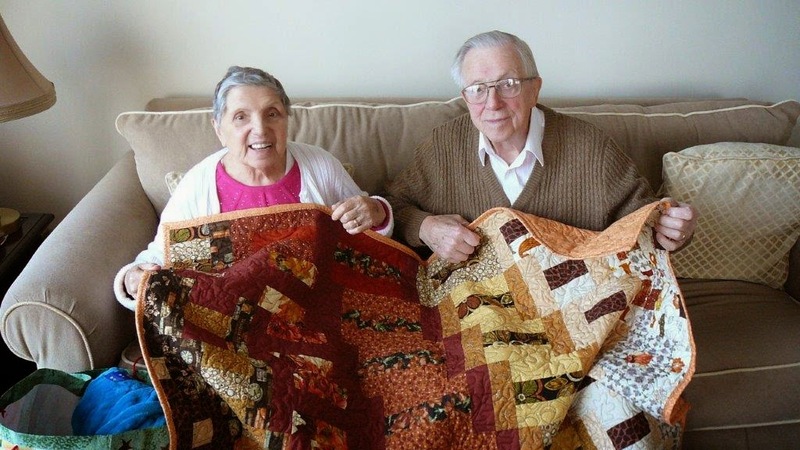 My grandparents are my biggest fans when it comes to my quilting. 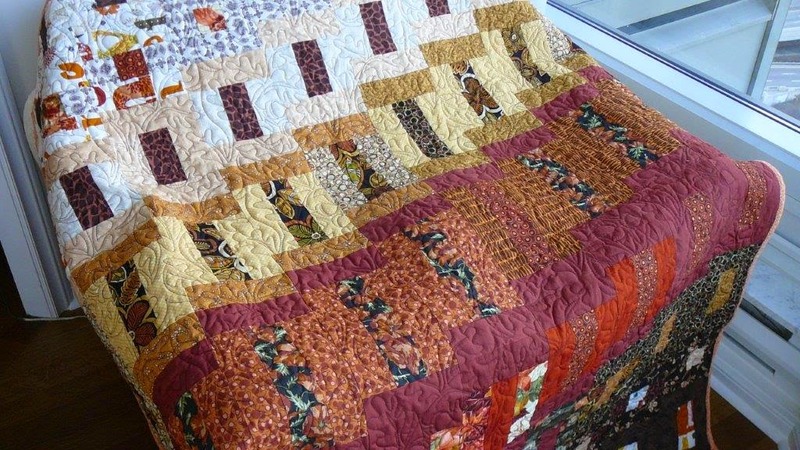 I made the king-sized "Christmas Beast" quilt for my parents (their daughter) and every time we are all at my parents house my grandfather looks at it and talks about how great he thinks it is. 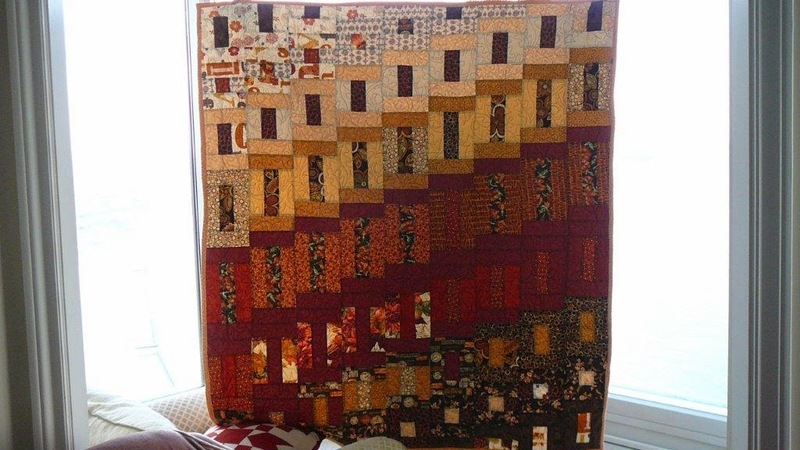 How could I not want to make them their very own quilt? I presented this one to them at our Christmas 2014 celebration. I had purchased an autumn themed layer cake because I loved the tones of the fabric. When the Missouri Star Quilt Company came up with their mystery quilt-along for a cause and I completed it, I knew this would make for a great lap quilt for my grandparents. 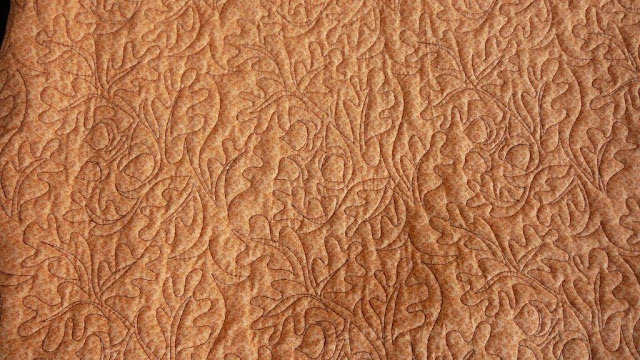 I even had the perfect pantograph (autumn oaks) in mind to show off my quilting skills and bring out the autumn theme even more. I really like how the quilt is not too feminine so both of them can enjoy it. I feel so privileged to have their love and support as I test out my creative journey. Making this for them is the least I could do.